See, I told you I couldn't stop buying shoes. Ferragamo Museum, originally uploaded by Atom Moore. While we were in Italy, we saw many great museums. Beautiful art, precious frescoes, gorgeously gilded church facades, amazing architecture. But what's really the most important thing to see in Italy? Shoes, of course! Beautiful, precious, gorgeous, amazing Italian shoes. Mmmm. The Ferragamo Museum in Florence is housed inside Palazzo Spini Feroni, which is the Ferragamo family's palazzo and also houses the company and its flagship store. 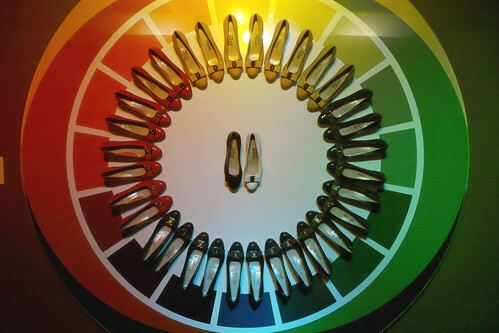 The museum contains a history of Salvatore Ferragamo and his shoemaking legacy. On display are shoes from the '20s through the '60s, original models of celebrity foot casts that were used to create shoes for Marilyn Monroe, Sophia Loren, and others, and original sketches and models for shoes. And right above the museum is a subset of the shop called Ferragamo Creations. Ferragamo Creations is a line of handmade, limited-edition Ferragamo shoes made using the original models and materials of shoes that were first made in the '40s and '50s. Each shoe model is made in an edition of 500 and is not sold again after the edition runs out, but they come out with additional models each year. After seeing the museum and admiring the craftsmanship and beauty of the shoes, I had to have a pair. I chose a pair of ballerina flats called the "Ghillie" (because its lacing pattern is modeled after the Scottish ghillie dancing shoe). It was originally made in 1940 and the reproduction is handmade in suede with a leather sole. 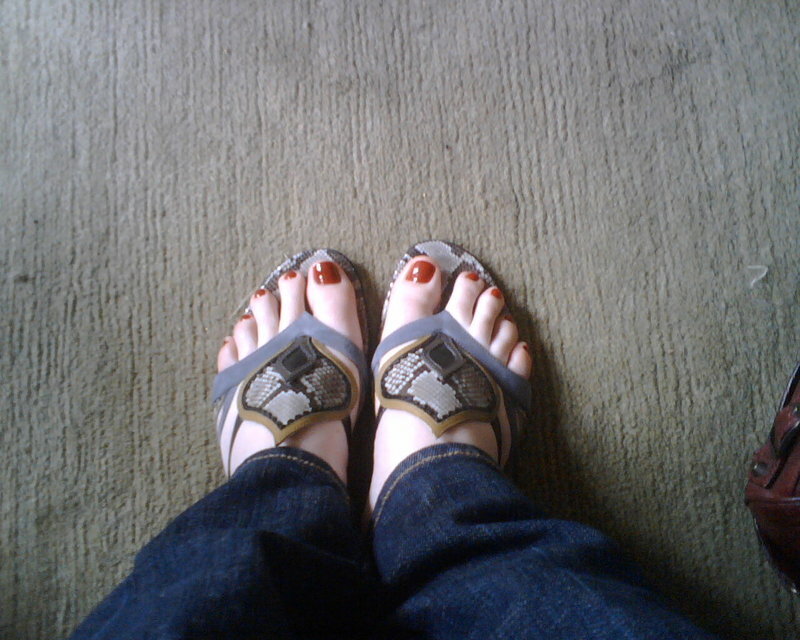 They are gorgeous and very comfortable! So now I just need a tshirt that says "I went to Italy for my honeymoon and all I got was a pair of limited-edition, handmade Ferragamos... and this tshirt". Photos of the shoes after the jump.